working toward world understanding and peace. The Rotary Club of La Crosse founded the Rotary Foundation in 1982 to provide a separate agency to award grants for local and international activities which fall under the criteria established. In 2008, the foundation became a regional foundation and changed its name. Rotary Works Foundation is made up of the nine Rotary Clubs in the area - La Crosse Downtown, La Crosse East, La Crosse After Hours, Valley View, Onalaska, Onalaska Hilltopper, Holmen, Caledonia and La Crescent and is governed by a board made up of members from each of the clubs. The efforts of the Rotary Works Foundation are supported in large part by the nine Rotary clubs and individual members of those clubs. Because of the large scope of many of the activities, the Foundation enthusiastically welcomes contributions and memorial gifts from people who share its commitment to improving the quality of life in the La Crosse area and the world. 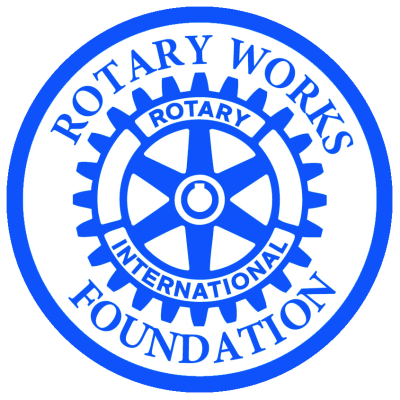 What is the purpose of our Rotary Works Foundation? To carry out Rotary's mission of service to our community. How does our Rotary Works Foundation do this? Through the awarding of grants, and though the support of special projects. How can Rotary Works Foundation funds be requested? By filling out a Rotary Works Foundation Grant Application Form. What are the criteria for making grants? Organizations or entities must be charitable in nature, and the Foundation Board evaluates the information provided on the Grant Application Form. Special emphasis is given to projects related to education and youth, and to local projects. What are some of the projects that have been beneficiaries of Rotary Works Foundation grants in the past year? Hunger Task Force, High School Scholarships, Scholarhips at UW-L, Viterbo and WWTC, Riverland Girl Scouts Defibrillator Equipment, La Crosse Concert Band, Healthy Families - Family and Children's Center, Romania Medical Project. What Rotary projects does the Rotary Works Foundation support? Kids Coulee, The Brain Game Book, Rotary Lights in the Park, World Community Service project in Romania, Organ Donor Awareness and Myrick Hixon EcoPark. Where do Rotary Works Foundation funds come from? Rotary members who pledge quarterly contributions to our Foundation and a yearly donation from our clubs. Who administers our Rotary Works Foundation? Eighteen members of the area Rotary Club who are voted on by the general membership of the area clubs govern the Foundation.